Frontier Airlines is kicking off new non-stop low-fare service between Buffalo – Niagara International Airport and Fort Myers, Fla.; Miami; Orlando, Fla. and Tampa. In addition to these flights the carrier has announced service to Denver, Colo. beginning April 9. The new low fare service was celebrated with a ribbon cutting and passenger event at the airport and special $49 low-fares at FlyFrontier.com. 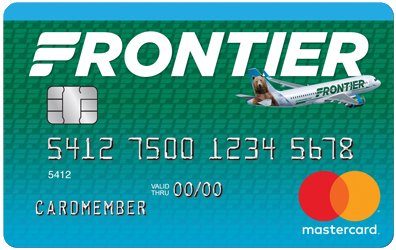 Frontier is focused on more than low fares. The carrier offers customers the ability to customize their travel to their needs and budget. For example, customers can purchase options a la carte or in one low-priced bundle called the WORKSsm. This bundle offers Frontier’s most popular options for as low as $59** each way and includes refundability, a carry-on bag, a checked bag, the best available seat, waived change fees and priority boarding. F9 1825 Depart BUF: 11 a.m. Arrive RSW: 2:00 p.m.
F9 1824 Depart RSW: 7:10 a.m. Arrive BUF: 10:10 a.m.
F9 1335 Depart BUF: 4 p.m. Arrive MIA: 7:48 p.m.
F9 1334 Depart MIA: 11:55 a.m. Arrive BUF: 3:09 p.m.
F9 1725 Depart BUF: 1:23 p.m. Arrive MCO: 4:13 p.m.
F9 1726 Depart MCO: 9:56 a.m. Arrive BUF: 12:33 p.m.
F9 1231Depart BUF: 2:35 p.m. Arrive TPA: 5:40 p.m.
F9 1228 Depart TPA: 11:05 a.m. Arrive BUF: 1:47 p.m.
Fares must be purchased by 11:59 pm Eastern time on Dec. 13, 2017 for nonstop travel Jan. 4, 2018 through Mar. 13, 2018. Travel is valid to BUF on Tuesdays through Friday and from BUF on Sunday through Wednesday. The following blackout dates apply, Feb. 14–26, 2018. 7 day advance purchase is required. change without notice. Some markets do not offer daily service. Schedules are subject to change without notice. Flights are operated by Frontier Airlines. Other restrictions may apply.